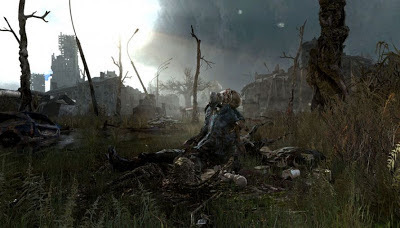 A while back I reviewed Ukrainian developer 4A Games' cult hit Metro 2033. 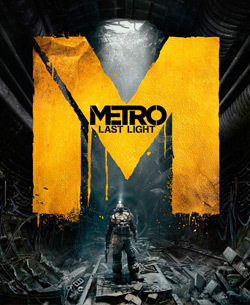 Based on a series of bestselling Russian novels, Metro was one of my favorite games of 2010. It was flawed, but it was beautiful. 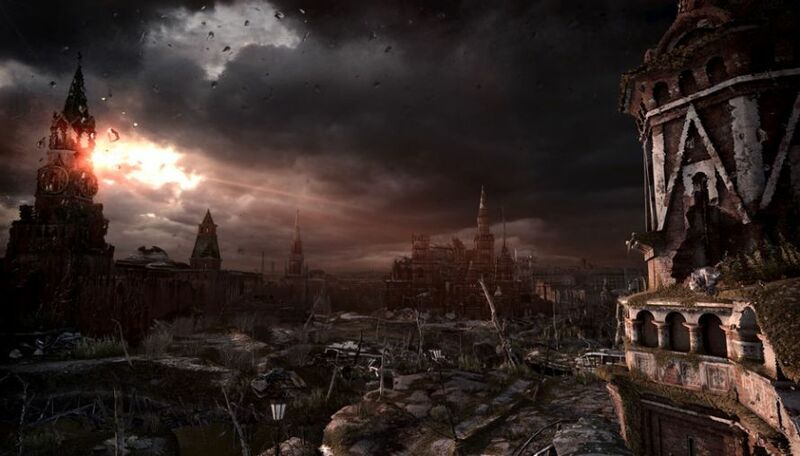 Now the Kiev-based studio is back with a sequel, Metro: Last Light. Despite its publisher THQ giving the studio a tiny budget, imposing terrible working conditions, and folding a few months later, 4A persevered. The game was picked up by German publisher Deep Silver and released earlier this month. 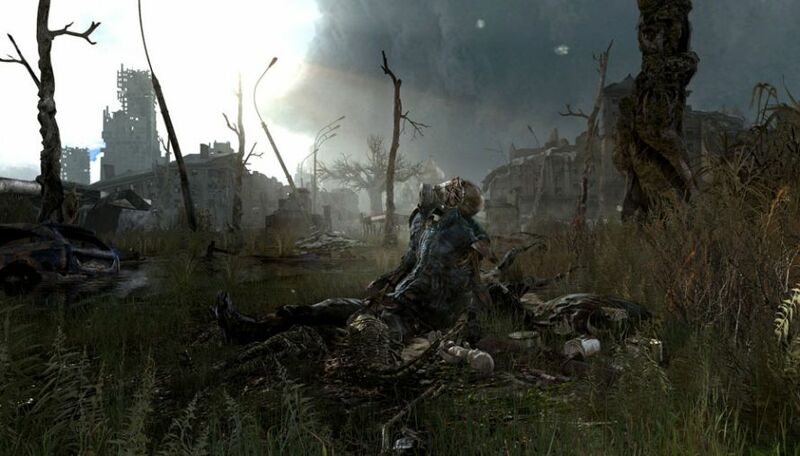 Metro: Last Light serves as a natural progression of Metro 2033. It's set in post-apocalyptic Moscow, where the surface is irradiated and survivors live underground in the tunnels city's Metro system... hence the title. You play as Artyom, a man dealing with the guilt of his murderous past. Guilt is one of the driving themes of the entire story, something carried through until the end credits. I've had a lifelong love of both post-apocalyptic stories and public transit systems--subways in particular. So Metro is right up my alley; Fallout 3 is perhaps my all-time favorite game largely because of its post-apocalyptic version of my hometown Washington, D.C. Metro system. Last Light's Metro is based on the real-life Moscow Metro with its distinctive circular routes, and it'd be really interesting to take a trip there and see how closely the in-game locations match their real-life counterparts. If you haven't played the original game, you won't understand much of the plot line, and that's a good thing. Instead of spending the opening hours of the game on exposition introducing you to the characters and setting, Last Light is able to jump right into the meat of the story. Last Light is also a natural progression from 2033 in terms of gameplay and mechanics. It definitely feels tweaked and upgraded all around, but the core gameplay loop of Metro remains intact. The game has been described as "Fallout meets Silent Hill." It mixes survival-horror with FPS and stealth mechanics, and the combat is serviceable enough. You've got a wide range of ways to approach obstacles, from ninja-like creeping to Rambo blazin'. The most interesting gameplay mechanic is the gas mask, carried over from 2033. Anytime you venture to the surface of Moscow, you need to wear a gas mask. You need to make sure you have enough air filters, and you have to manually switch filters when one runs low. Combat has its effects on the mask, cracking the glass and making it harder to see. You can take filters and gas masks from corpses you find around the city if your current one is banged up. I love to play games slowly and savor the experience, and at first I thought this gas mask stuff would be an unnecessary time-limiting annoyance when I'm trying to survive in an already-hostile world. But in practice, it enriches the experience and made me feel more immersed in the dystopian gameworld. It added the "survival" aspect to "survival-horror." You can survive on the surface for a minute or so without a mask, and some of the most intense experiences I had with Last Light were when I was frantically rushing around the surface sifting through rubble to find a new air filter for my mask. Luckily, Metro is a series made for slow gamers like me. Where the game truly shines is in the downtime at the various Metro stations around Moscow. It's not an RPG, but you're free to explore the heavily-populated stations at your leisure. Unlike many games in which NPCs have fake conversations for a few seconds, in Metro, you can sit and listen to random underground citizens talk to each other for minutes on end. You don't need to listen to any of them, but if you do, it enriches the game's fiction and makes you feel like part of a larger world. The moment this really hit home for me was at Theatre Station. The station is near the world-famous Bolshoi Theatre, and in the story, many Bolshoi performers survived nuclear holocaust in the theater's basement (which is connected to the Metro station). As a result, even in the dystopia of Metro, the Bolshoi is able to continue putting on performances underground. So you can sit and watch a 15-minute variety show at the Bolshoi. That should be a blurb on the back of the game box, don't you think? "ACTION-PACKED! GUNS! EXPLOSIONS! AND YOU CAN WATCH A 15-MINUTE VARIETY SHOW AT THE BOLSHOI!" You don't even have to watch it if you don't want to. But it's a great example of world-building and storytelling without relying on walls of text or non-interactive cutscenes. A major theme of Metro is the relationship between hope and desparation. Moscow is a nuclear wasteland, yet people still go to the theater. Continuing a motif from Metro 2033, Last Light features various musical instruments strewn around the game. While you're off fighting Nazis and communists, you can also stop and strum a guitar for a minute. Poignant musical moments pop up throughout the story, adding depth to an otherwise action-riddled affair. There's a subtle "morality system" in Last Light, although unlike most games with one of these, there's no meter at the bottom of the screen telling you how Good or Evil you are. Small choices you make throughout the game influence which ending you get at the conclusion of the story. If you played Metro 2033, you'll know what to expect; if you didn't, I'll just say some of the important choices are less obvious than others. That's not to say Last Light is perfect. The enemy AI is slightly stoopid, and there are many otherwise-interesting cutscenes where I kept thinking "I wish I could be controlling my character right now instead of watching a cutscene." And unfortunately, the mostly-superb plot pulls a BioShock: a major plot twist two-thirds of the way through that should've served as the climax of the story, but instead leads to a subpar final third of the game. But Metro: Last Light is a game greater than the sum of its parts. In an industry dominated by the U.S. and Japan, it's interesting to see an Eastern European perspective on a nuclear holocaust story. And much like Spec Ops: The Line, it shows us what can be done with the standard military shooter formula if you pay more attention to the art design and give the story a bit more meaning. And luckily, unlike The Line, Last Light was able to get rid of any tacked-on multiplayer mode. It's a single-player shooter done right.